RJCA has many interns from local and national colleges seeking experience for their degrees. RJCA hosts 4 Masters of Social Work interns on average per year as well as undergrad interns from areas of social work, criminal justice, sociology, and peace and justice studies. Please verify that the information below is correct. TERMS AND CONDITIONS: I authorize Restorative Justice Community Action, INC to charge the amount listed above to the credit card provided herein. I agree to pay for this purchase/donation in accordance with the issuing bank cardholder agreement. 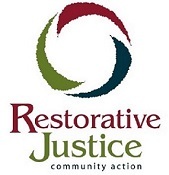 THANK YOU for supporting the next generation of restorative justice advocates and practitioners.